During 7 years, the children of Israel lived enslaved under the dominion of the Midianites. Everything they planted, their enemies would destroy. Israel was left with no food, sheep, oxen or donkeys, but worst of all is that they were weak. However, it’s important to note that, even being weak, they used the little strength that they had to build new fortress and caves in mountains and caverns. They didn’t use this little strength to face their enemies. This is what has been happening to many people nowadays: they prefer to use the little strength they have to simply bear their problems. Note these simple examples: the wife who makes an extraordinary effort to overcome the unfaithfulness, neglect and rejection of her husband; the mother who sees her son in drugs; the employee, who endures humiliation, scarcity and misery, living below the poverty line, instead of using the same strength to face his problems and overcome them. Gideon used the strength he had to thresh the wheat in the winepress, in order to hide it from the enemies, and when he did that, God appeared to him. God will never appear to those who are content with bearing their problems, as if it was their destiny. If we want to see a difference we need to use the power of faith and leave the “cave of accommodation”, the “cave of routine” and destroy the “fortress of fear” and throw ourselves on the Altar of God! 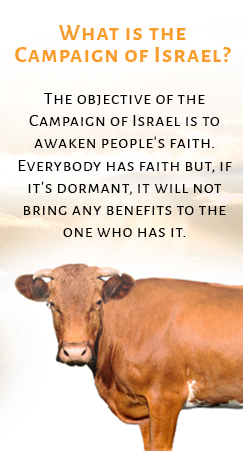 This is the aim of the Campaign of Israel in the faith of Gideon. 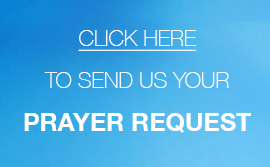 To those who want to use this strength to change their life: Go in this strength! Whoever doesn’t want to, let him stay! How to join us in this Campaign.